Valencia host FC Barcelona in La Liga’s next round of matches and Los Che, under new management, earned a hard-fought win at El Molinon against Sporting Gijón. Cesare Prandelli took charge of his first game after being appointed two weeks ago, and looks to have made an instant impact on the players as they etched out three points on a tough ground. 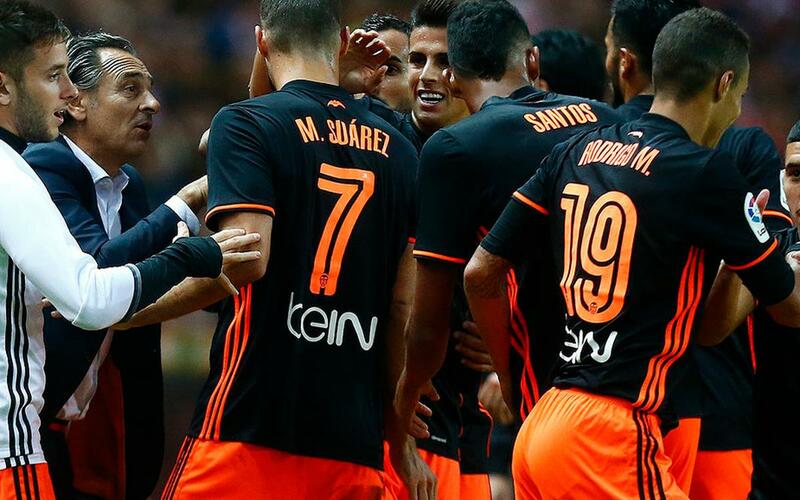 A rare Mario Suárez double, a goal either side of Carlos Castro’s equaliser, was enough to give Valencia the win that pushes them up to 14th place in the standings and will certainly lift morale going into the big game against Barça next Saturday (4.15pm CET). Atlético Madrid are notorious for their strong defence, but it was their rampant attack that grabbed the headlines on Saturday, when they hit seven past Granada at the Vicente Calderon. Former Barça man Isaac Cuenca put the Andalusians ahead but a hat-trick from Yannick Carrasco, a brace from Nico Gaitán and late strikes from Ángel Correa and Tiago sealed a memorable win which keeps Diego Simeone’s men top of the table. Real Madrid are level on points with their neighbours due to their result. Zinedine Zidane's men were in similar mood against another side from the south, as a 6-1 rout away to Real Betis saw them earn their first win in five games in all competitions. Raphael Varane, Karim Benzema, Marcelo and Isco opened up a 4-0 lead before the break before Cejudo got one back for the hosts. Isco got his second and Cristiano Ronaldo polished off proceedings with a late strike.